Our arrangements are made fresh daily and hand-delivered in as little as 2 hours! If you have a special delivery request, please give us a call. We are known for going out of our way to make your flowers special. Petals provides all customers with fast and reliable delivery service to all of Northwest Indiana. Our flower arrangements are personally hand-delivered in as little as 2 hours and never left at the door. If you’re not home we will bring them back when you are. Your flowers are always delivered wrapped and are ready to be enjoyed immediately. We take tremendous pride in ensuring that every floral arrangement we deliver is the best and we stand by our guarantee. Always local, fresh & hand-delivered. Petals offers a 100% Customer Satisfaction Guarantee. We strive to make your experience buying flowers online with us unforgettable. Whether you are looking for same day flowers or next day flower delivery, Petals promises to deliver great quality, personable customer service and stunning florist arranged bouquets. We know that when you Send Flowers it comes from the heart, so we work hard to ensure your arrangements are created with the freshest flowers and delivered on time to help celebrate every occasion. 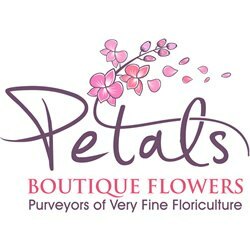 All of us at Petals would like to not only be here for you today, but for all your future flower needs. We invite you to shop our flowers for any occasion or when you just need to make someone smile. We strive so hard to bring our customers the best value and we will work hard for you.